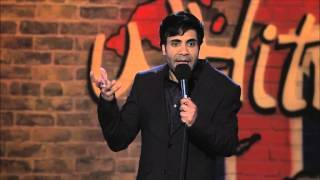 Paul Chowdhry started stand-up in 1998, and his comedy career has since taken him to Hong Kong, the Gulf, Amsterdam, Germany, South Africa and headlining the International Indian Kings of Comedy tour. In 2003, he became the first British act to perform at the Caribbean Comedy Festival in Trinidad. He was nominated as best comedian in the 2002 EMMA (Ethnic Multicultural Media Academy) awards, and won the critics' choice award at the 2003 Smirnoff South African International Comedy Festival. He has also appeared in the 2004 film Colour Me Kubrick, playing a club announcer, and on various stand-up shows on TV. Sorry. We have no listings of forthcoming performances by Paul Chowdhry. We do not currently hold contact details for Paul Chowdhry's agent. If you are a comic or agent wanting your details to appear on Chortle, click here.